Sussex Police are appealing for witnesses after reports of hate posters in Barns Green. The posters with political figures on them are believed to have been put up in Chapel Road between 9.45pm and 11.30pm on Monday (November 19). Horsham Prevention Inspector Sarah Leadbeatter said: “We are taking this matter very seriously and will investigate all lines of enquiry. 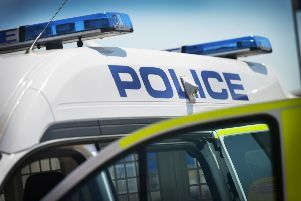 “There will be an increase in high visibility patrols in the area and residents are encouraged to speak to the officers with any information they have. You can report online or by calling 101 quoting 1467 of 19/11. Alternatively, you can visit the Crimestoppers website or contact the independent charity anonymously on 0800 555 111. In October we reported that Sussex Police had launched a hate crime investigation after posters were put up around the village with slogans written in German about gipsies and travellers.